sing and play with various instruments. 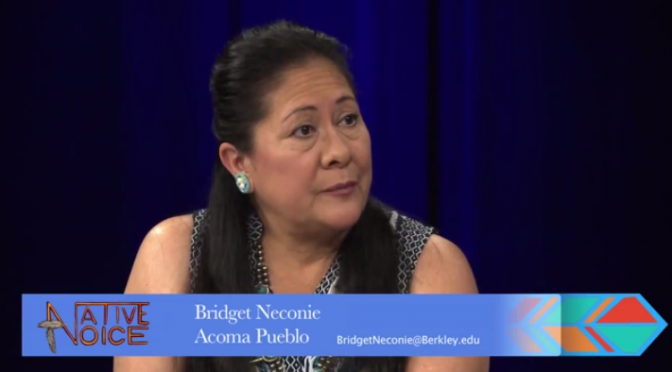 This interview is about the history of the California coastal natives plight during the beginning of the Catholic missions. From 1769 through 1782, nine missions were built from San Diego to San Francisco. 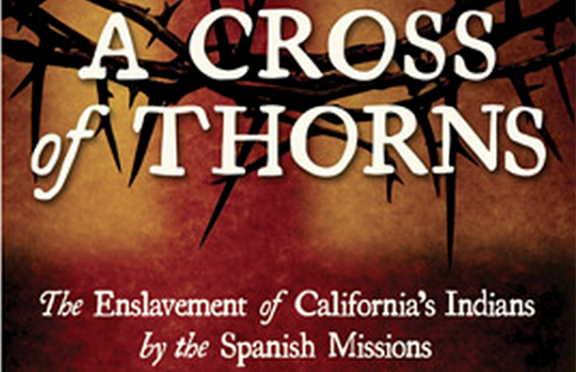 Castillo’s book, ‘A Cross of Thorns’ is not about but as he stated, The “Big Lie”. His book shatters the image of the Californian’s missions as the Wonderful idyllic places, where Franciscan Friars loved the Californian natives and the Natives loved the Friars; and Junipero Serra was an ‘Angelic’ person. Castillo’s mentions the Truth about the ‘Genocide’ through religion of saving the heathens from sin by ‘Work Enslavement’, harsh brutal punishment to all natives young and old, women and child, boys and men. Its a show to see and to share about the truth of Californian Natives by reading his book, promoting it to the California Board of Education and to ‘Petition’ the Roman Catholic Pope, ‘Jorge Mario Bergoglio’ of not making a TERRIOST of his time, a SAINT (Junipero Serra). 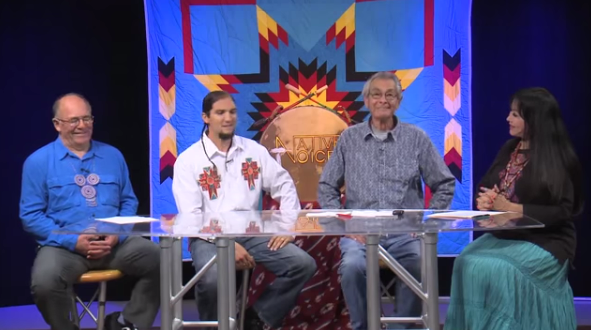 Cihuapilli Rose Amador LeBeau interviews Tony Redhouse (Navajo Nation) on Native Voice TV. He is a two time winner of the Native American Music Awards. Tony incorporates native American Art forms to inspire and heal lives; he has successfully bridged the gap between cultures, social groups, races and ages. Tony has been featured on Dr. Oz and Keeping Up With The Kardashians. 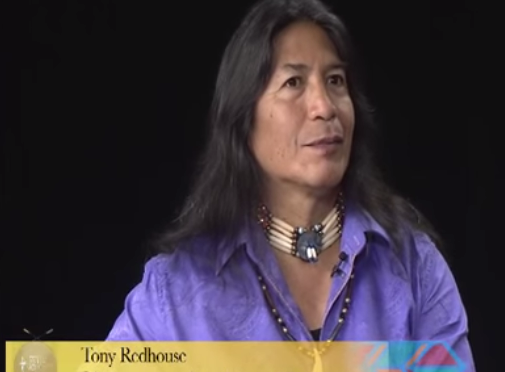 He has been honored with the “Tony Redhouse Day” in Petaluma. On this segment, Tony sings and plays flute. 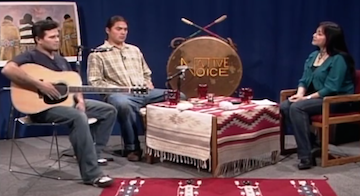 Cihuapilli Rose Amador interviews Jeremy Goodfeather (Mohawk) of San Francisco and Crow Knight (Minnecoujou/Lakota) of Colorado, musicians on Native Voice TV. Goodfeather started playing music since he was 11 years old and had a hiatus when he was married and had two children. Goodfeather started to write his songs from his inner-self and met up with Knight in the Bay area and started to play together. The music is ‘Contemporary Folk‘ but the lyrics are ‘Indigenous’. 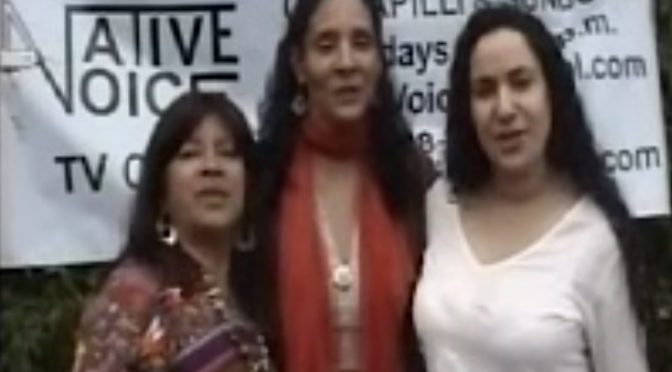 They play over four songs, each has a story behind the song. Shine on Me, Life of Dreams, Serenity of Love, etc. are played on this show. Cihuapilli Rose Amador Le Beau discusses how to live a healthier lifestyle by becoming a participant in a Stanford Research medical study being done for individuals of Native heritage… by Native people. Al Cross, Paul Flores IV and Adrian Kendrick are guests with information about different aspects of the program. American Indians, Alaska Natives, Native Hawaiians, Pacific Islanders and those Indigenous to the Americas. Must be age 21+, +1 risk factor and English speaking. on Comcast Channel 15 @ 8:00P.M.